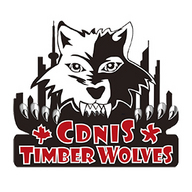 The CDNIS Athletics Department is proud to host its annual Volleyball Invitational Tournament from Oct 26-28. We welcome teams from Myanmar, Thailand (Bangkok), Macao, and of course Hong Kong, and expect 150 athletes, for what should be an epic contest! Find out who’s playing and the games scores by clicking the schedule link above.